Watching my youngest baby girl's eyes widen with excitement when she discovers a new toy that she loves, brings a smile to my face. She is now nine months old and very aware of her surroundings, one of my favourite stages of babyhood. She wants to explore every detail of anything she can get her hands on, she becomes delighted with brightly coloured toys, she loves sounds and music. She is at the perfect age for learning toys, toys that aren't only fun but also benefit baby with mastering some of her skills! Playskool Learnimals toys are excellent for babies six months and up, by far one of my favourite toy collections for babies. PTPA award winning Playskool Learnimals ABC Adventure Elefun toy is an interactive learning toy that gives your baby a hands-on adventure. It helps build vital connections between words, sounds and the alphabet with the adorable Elefun character. It teaches infants over 100 first words through 75 sound effects, music and activities. 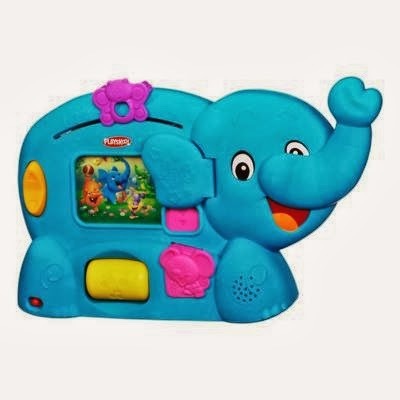 Pull Elefun's trunk down and listen to the music, when it stops the screen lights up and Elefun will dictate a letter of the alphabet with a matching object (Q for Quilt for example) followed by a sound. Pull on Elefuns ear and the letter is repeated. Spin the yellow barrel for additional words and sounds for the letter. Even more learning fun when you pull down the mouse and reveal a shape or colour and hear its name or colour. Slide the butterfly across the top to hear numbers one through ten. Multiple learning in one fun toy, Baby M took to it right away. She loves pulling down the trunk and dancing when a song plays between letters and words. Now when we take it out for play time her face lights up and her whole body wiggles with excitement! That's the kind of reaction you get when you know you have found a toy your baby loves! The ABC Adventure Elefun Toy is suggested for babies 6 months and up, you can buy it at most retail stores in the toy department for around $39.99. For a more relaxed playtime and time spent together, the Playskool Learnimals Magic Motion book brings stories to life featuring Elefun! An interactive book, perfect for little hands helps babies bring stories to life by reading aloud as you turn the pages. Baby can help tell the story by knocking on a picture of a door and other fun interactions (teaching cause and effect). 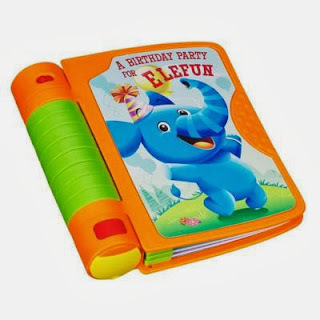 Each page has prompts more fun and interactive learning by tapping, tilting or shaking the book (fine motor skill practice!) with over 50 responses and activities along the way. The Magic Motion book has two Play Modes; Listen and read along in story mode or follow the prompts to teaching activities in Explore Mode. Press the red button to advance through the prompts for tons of learning fun. This is going to make a great holiday gift for one special little lady! Find these and other great toys for the upcoming holiday season on the Hasbro Canada website! Disclosure: Posted by AME on behalf of Hasbro Canada. Product was received for review purposes. 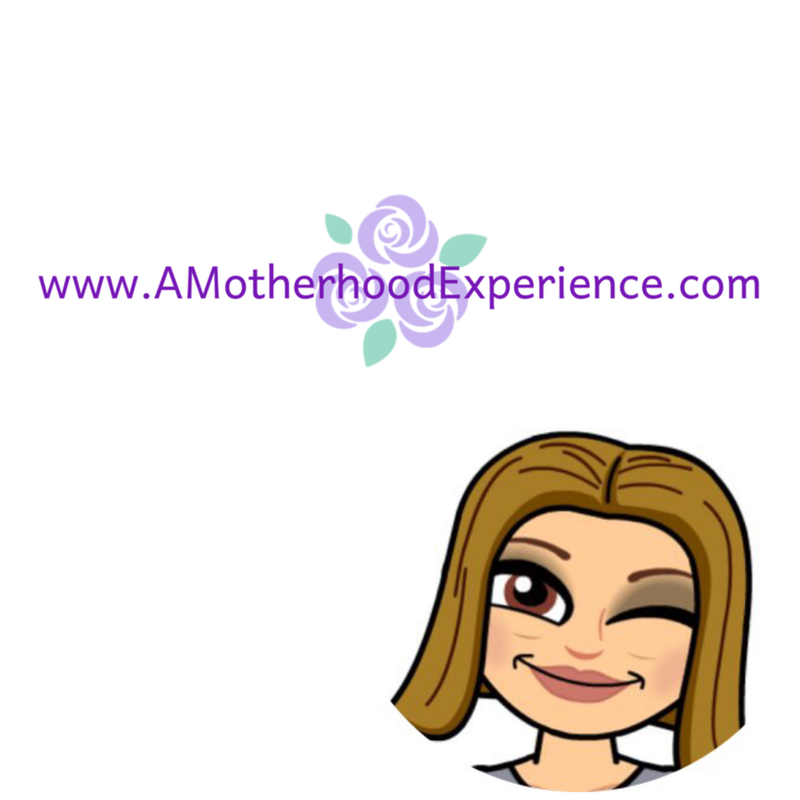 Opinions and comments on this blog are those of the author. ABC Adventure Elefun courtesy of PTPAmedia.